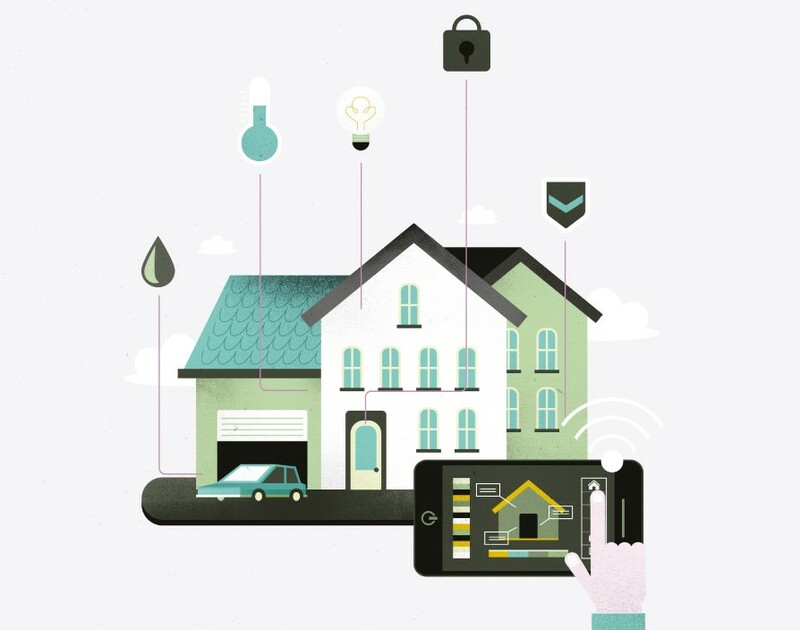 Are consumers ready for the smart home of the future? Up until recently, living in a smart home was more trouble than it was worth. While the allure of putting on the kettle without getting out of bed may have convinced some early adopters to pursue a Star Trekesque fantasy, using it often proved irritatingly complex. "I basically had to give everyone who visited me a guide on how to turn the lights on," says Philipp Schuster, UK managing director at Loxone, the smart homes solutions company. Given his background in electronic engineering and cybernetic control systems, it's hardly surprising he set out to make his first house a connected one. "I'm a typical early adopter," he says. However, setting up a smart home proved both expensive and demanding, requiring him to rewire the whole house and design his own circuit board. Schuster's experience is hardly unique. Early adopters have faced similar hassles ever since James Sutherland flicked the switch on the first smart home in 1966. Afterwards, his wife was relieved that he hadnít blown up the house: instead of finding herself in a crater, Ruth Sutherland watched as the Electronic Computing Home Operator – or ECHO IV – hummed to life. The system was able to control the thermostat, switch appliances on and off, balance the familyís finances and predict the weather. Not bad considering that Sutherland had built the machine out of junk and spare circuits from work. But impressive as it was, ECHO IV didn't result in mass adoption. While potential customers may have been excited about the vision of controlling their entire house with a single device, they were usually put off by the prospect of installing a computer that would take up half of their living room. And if that didn't nix their enthusiasm, the price of wiring the house and the complex coding skills required usually did. However, things have most certainly changed. In the last few years, the internet of things (IoT) has enabled different smart devices to connect and interact with each other via Bluetooth and wifi. Expensive wiring, a house huge enough to accommodate the devices and advanced technological knowhow are no longer required to realise consumers' fantasy to live in a house resembling that of Marty McFlyís humble abode from Back to the Future II. "Smart homes are not only for the geeks anymore," says Lionel Guicherd-Callin, head of product marketing for Europe at Nest Labs, the smart-home solutions provider. And developers have been sitting up and taking note. "It's a very interesting arena for startups," says Schuster. "But it's also an incredibly crowded marketplace at the moment, with a lot of smart home devices being introduced." However, given that smart homes are intimately linked with the market for IoT devices, the fact that customers aren't snapping up connected gadgets should give developers pause for thought. While 81% of UK adults have a smartphone, adoption of other connected devices is below 10%, according to the Mobile Consumer 2016 report published by the auditing firm Deloitte in late September. Less than 5% are interested in buying connected security systems, thermostats and light bulbs. "Consumers need to see more value," says Kevin Meagher, senior vice-president of ROC-Connect, a smart-home provider. But defining that value is easier said than done as it's not always easy to discern what benefits some IoT devices bring. For instance, gadgets like KuvÈe's internet-connected wine bottles and Samsung's $6,000 high-tech fridge raise the question: should some smart devices have stayed dumb? "Yes, definitely," says Schuster. "Sure, these gadgets will probably appeal to a niche audience but they won't lead to wider adoption of smart-home devices because they don't really supply any tangible benefits." And it seems the cool factor isn't impressing customers either, as only 6% of people would be persuaded to invest in smart devices to keep up with tech-savvy friends, according to a study from PwC, the auditing firm. "It's like buying a 42-inch TV," says Jonathan Melhuish, head of customer experience at Heat Genius, the smart-home solutions startup. "It looks cool and impresses your mates for a few days but then you forget about it." However, developers have another reason to prioritise functionality over the cool factor: the fact that Generation Y isn't buying homes. A recent survey from the Resolution Foundation, the think tank, shows that less than 42% of millennials owned a house before they turned 30, compared to 63% of baby boomers. So while Gen Y is usually seen as the tech-savviest generation, developers are advised to focus on other age groups. And that means not only focusing on the cool factor. "Older people aren't afraid of technology but they want functionality," says Melhuish. And the PwC study backs him up, revealing that 35% of people would be persuaded to invest in connected devices if they could bring benefits such as reducing energy bills. However, that doesn't mean millennials are entirely out of the equation. In fact, ensuring that Generation Y is switched on to your products can still indirectly lead to baby boomers buying devices. "We've noticed that a lot of parents ask their kids for advice on if something is a good product or if it will work on their phones," says Guicherd-Callin. Given that complexity became a hindrance for mass adoption in the six decades since ECHO IV, it's hardly surprising that reducing it could ensure the take-off of the smart-home market. One step in that direction would be to establish a one-stop solution for all IoT devices, ensuring a unified customer experience. "The race is clearly on to see who will provide the dominant smart-home platform and there's everything to play for," says Melhuish. "It will mainly come down to two things: who can nurture the best ecosystem for manufacturers and developers and who can offer the best user experience." One challenger for the title was launched in the UK in late September: Amazon Echo. With its ability to turn up the volume on your speakers, order pizza, switch off the lights and regulate the heating when you simply ask for it out loud, the device seemingly packs a winning knockout combo. But not everyone is convinced it will take the title. "Amazon is up against stiff competition and I'm not sure they'll manage to convince everyone to develop for their platform," says Melhuish. Ultimately, there's something to say about the old adage that you always fear what you don't know. That's true for connected devices too. "Smart homes as a whole becoming mainstream will come down to people actually experiencing them," says Schuster. And once they do, customers may find themselves unable to live without them. "It's like in the car industry, where lot of features that were considered luxuries have now become standard," he says. Given that he's seen the evolution from heavily wired houses to modern connected smart homes first hand, Schuster is convinced that mass adoption is on the horizon. And while he might have struggled in the past to show his guests how to turn on the light, his passion for it has been reinvigorated by the new tech. "I couldn't imagine living without it," concludes Schuster.